Report Fields are applied to Report Paragraphs, Table Cells and other Report Queries. Report Fields are used to display Data in the Report. XQuery, XSLT and Python can be used in Report Fields and provides the means to query, extract and manipulate data from the Report Data Source. Specify a Name for the Field, Formatting, Query Type and Query using the Property Grid. 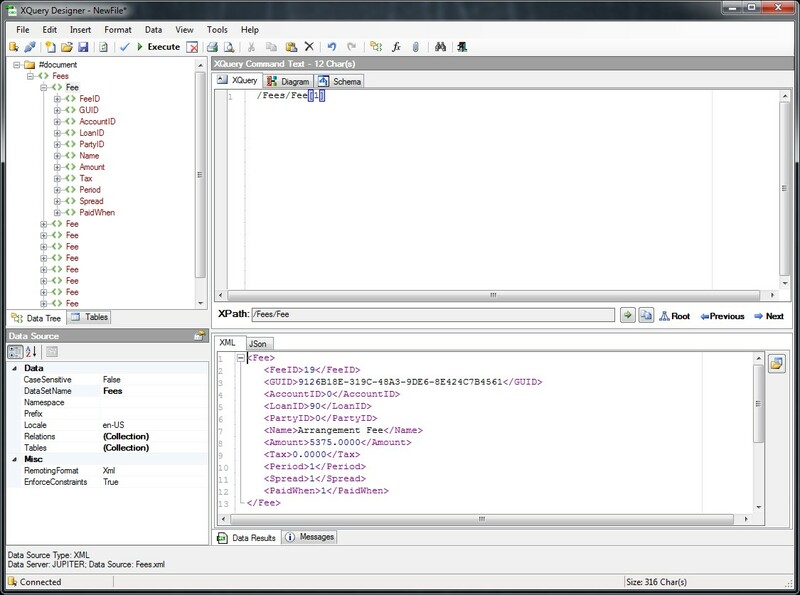 Clicking the Query button will open the Query Designer. 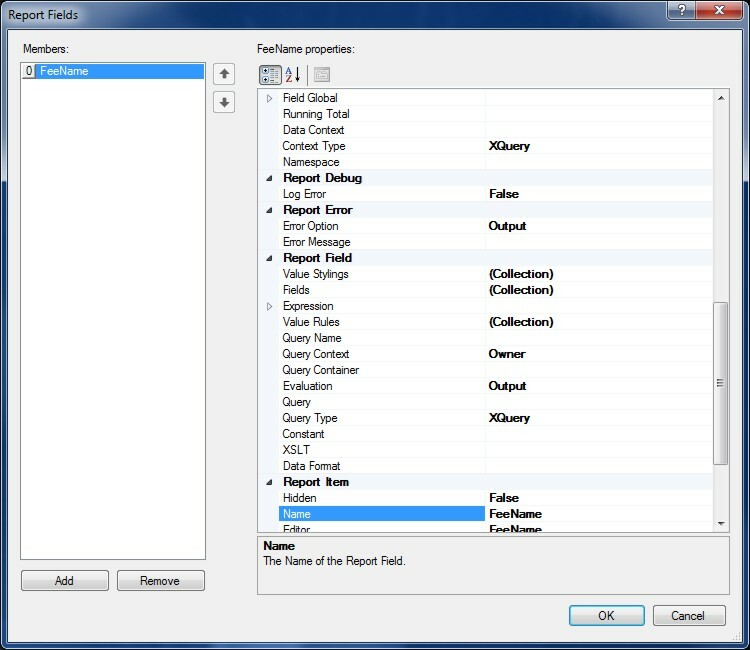 Report Fields can apply Data Formatting options to the Field Data with many options for Formatting Data. Select the best formatting option to display the Field Data according to your requirements. Data can be formatted for Time, Date, Number, Currency and Strings. Regular Expressions and Inbuilt Functions can also be applied to Data Formats to manipulate and extract Data. Data Formats can also be declared globally in the Report and used throughout the Report to apply common Data Formatting options. 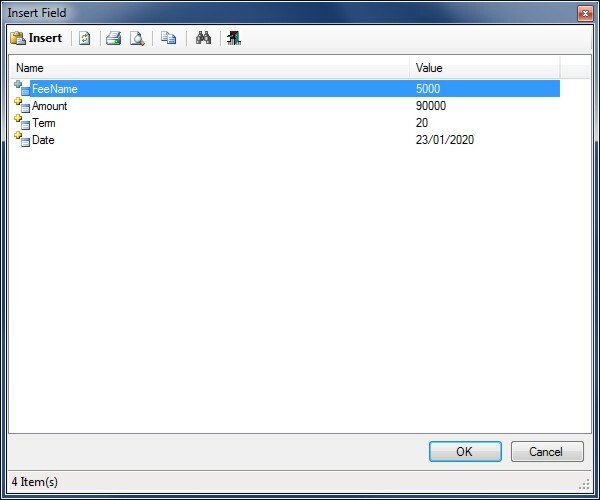 If a global Data Format is available it will be shown in the dropdown for Field Formatting under Format Name. Regular Expressions are a sequence of characters that define a search pattern. Usually this pattern is then used by string searching algorithms for "find" or "find and replace" operations on strings. Select the RegEx Function and enter a Search Pattern or select a predefined one from the Dropdown list. 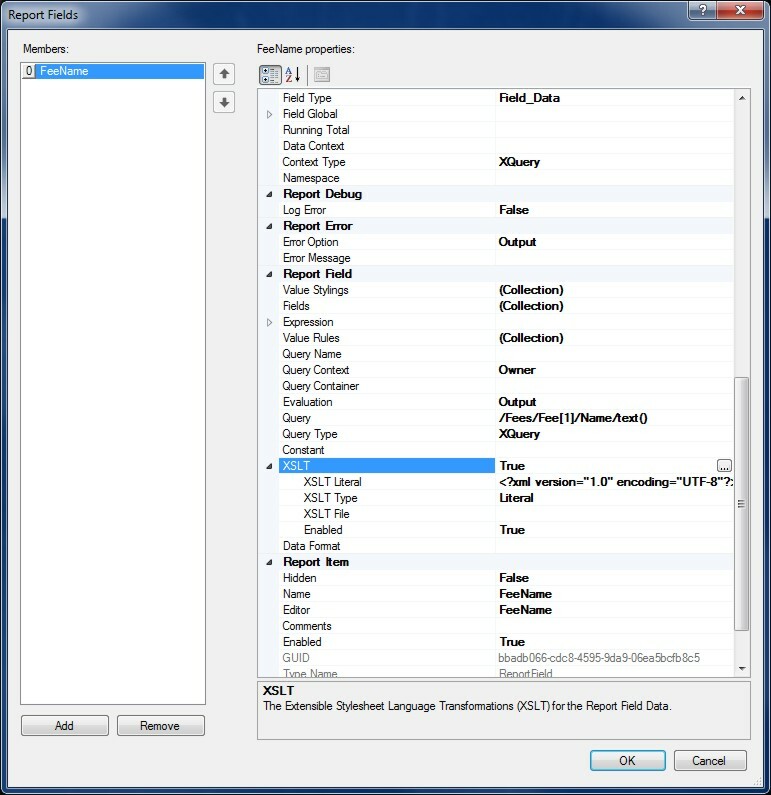 To specify an XSLT to Transform the Field Data Context click the Button on the XSLT Property to Open the XSLT Editor. The URI Query for the XSLT can be a series of XQuery or Python statements to specify the location of the File URI. If the Value Type is a literal the URI location will be determined from the URI property. If the Value Type is Query the URI location will be determined from the URI Query. Report XML Data can be queried using XQuery / XPath or Python. Queries are associated with Report Fields and the output of a Query will be shown in place of the Report Field Name. 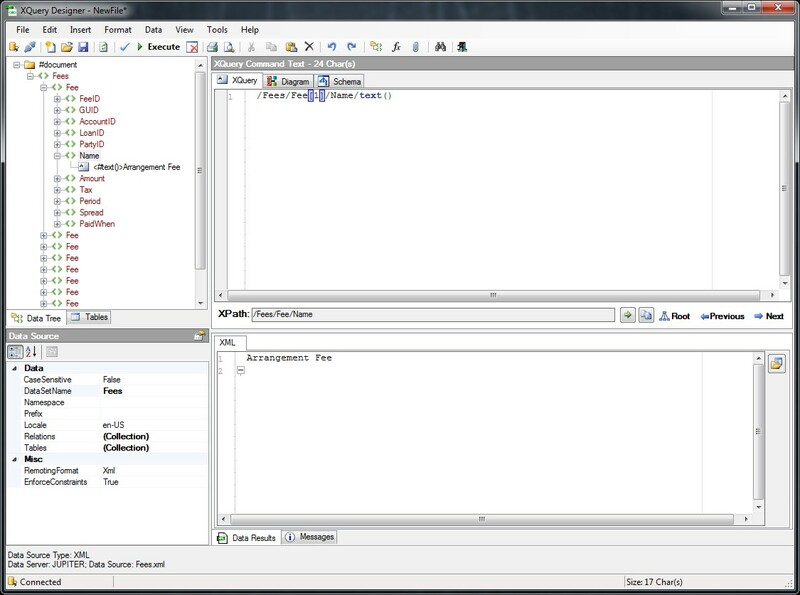 By default the Query Type is XQuery which will open the XQuery Designer. 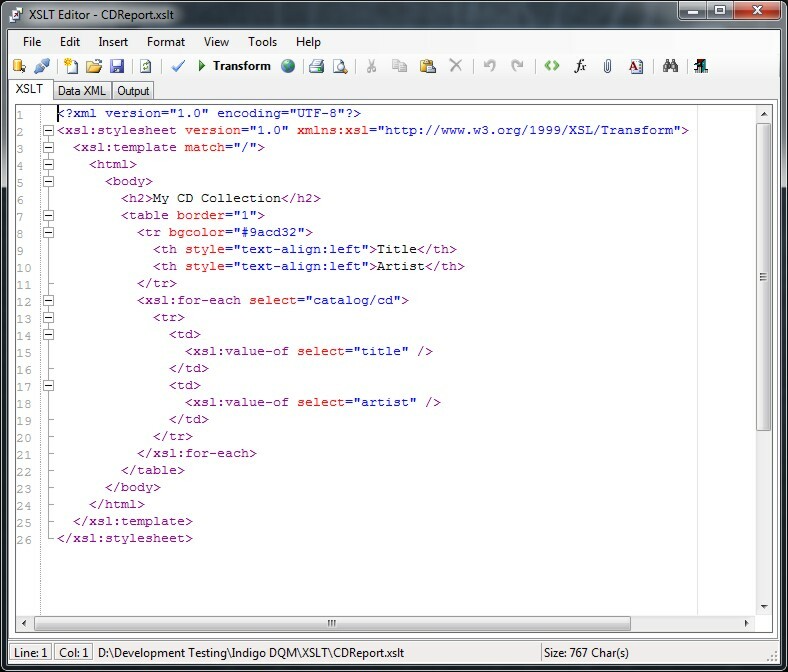 The Report Item Context will be passed into the Designer for Querying using XQuery. 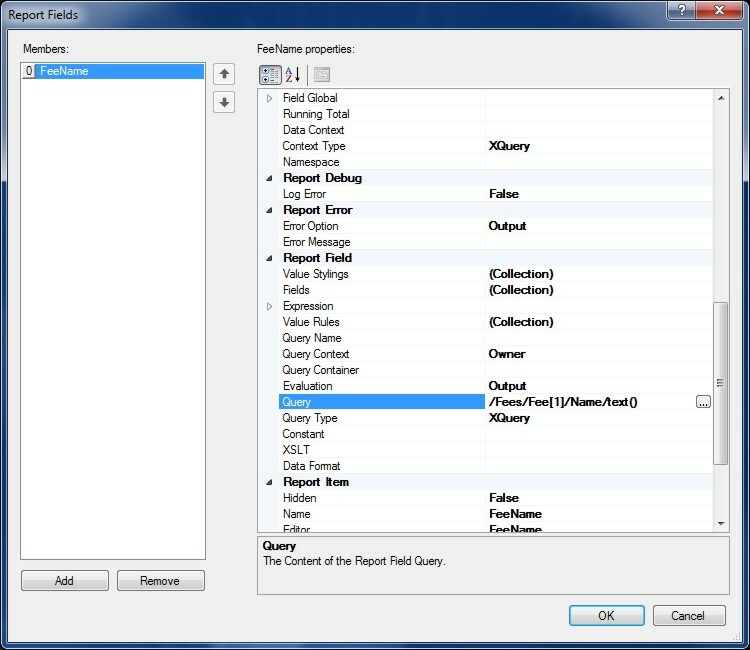 Creating an XQuery using the Field XQuery Designer a Field Name must be specified in order to be recognized by the Paragraph Content Editor and the XQuery parser. 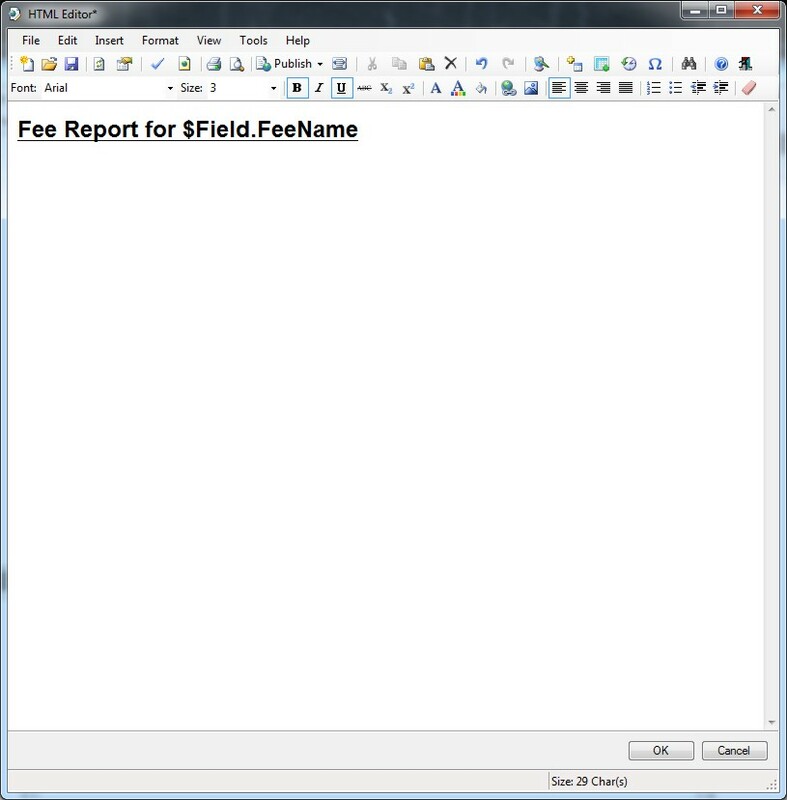 Retrieving the Name of a Fee from the report Data and displaying the output. If the Report Field Query Type is Python then Python Scripting will be used. The Report Item Context will be passed into the Python Editor for Querying using Python. 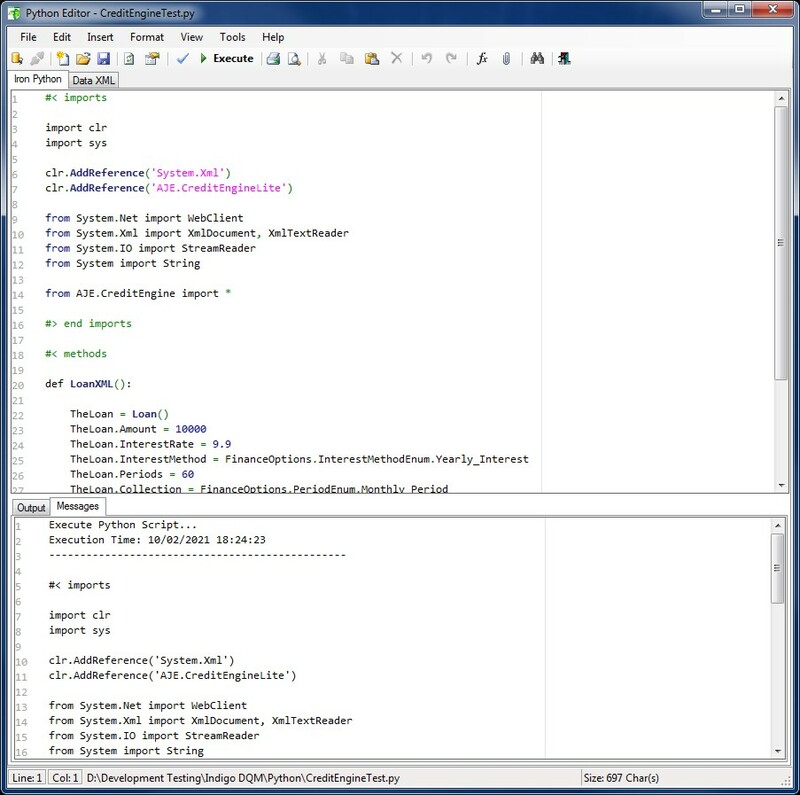 The Python Editor allows Python Functions to be Inserted and the Script to be Validated and Executed displaying the Output as it will be used in the Report. To display the Report Field in the Paragraph it needs to be added to the Paragraph using the HTML Content Editor. 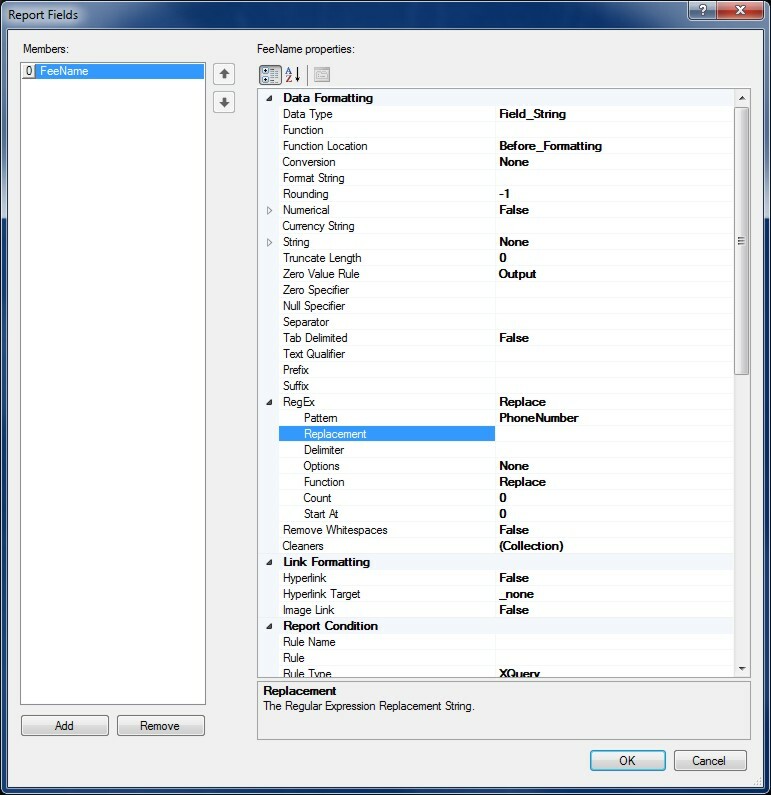 Click OK to Insert the Field into the Content Editor. The Report Content will now display the Query Result for the Field Name. Report Conditional Rules can also be applied to Fields to determine if the content is displayed or not. Report Rules are XQuery or Python statements that return True or False and determine if Content is Enabled. By Default if empty the Rule will always be True.